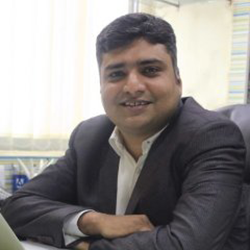 Bhavesh Goswami the Co-Founder & CEO of CloudThat Technologies, is a leading expert in Cloud Computing space with over a decade of experience. He was in the initial development team of Amazon Simple Storage Service (S3) at Amazon Web Services (AWS) in Seattle. 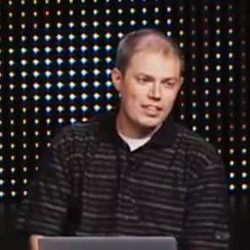 He honed his Cloud Computing skills at Amazon where he helped ship the first version of S3 in 2006. Later he moved to Microsoft after over three years at Amazon to take up the challenge to help manage Cosmos, the Cloud storage and Big Data computational engine that power all of the Microsoft’s Online Services, including Bing. In 2010, after living in USA over 10 years, he came to India in search of a challenge. He realized that the rapidly changing technology landscape and the busy schedule of IT professionals were not conducive to acquire new skills. Thus, he started CloudThat Technologies, a company focused on quickly empowering professionals & corporates on Cloud & Big Data through training & consulting services. He has personally trained over 1000 people on various Cloud technologies like AWS, Microsoft Azure, Google App Engine and more since early 2012. Bhavesh earned MS in Computer Science from University of South Florida, where he was awarded Scholarships for Teaching Assistantship and Research Assistantship in 2003. He gained his Bachelor of Engineering in Information Technology from Nirma University in 2001. 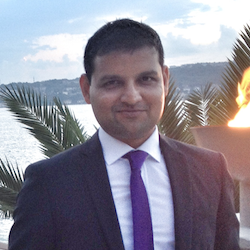 Himanshu Mody is an Entrepreneur with focus on IT Education and Consulting. At CloudThat, he is using his experience to ensure world-class training delivery, strategizing, optimizing business processes, identifying new revenue models for the company and constantly raising the bar of what is possible. In addition to co-founding Cloudthat, he founded Tekno Point in 2000. Under his leadership Tekno Point has trained over 10000 IT professionals from enterprises across India, Australia, New Zealand, Singapore, Hong Kong, Malaysia and China on Adobe products. 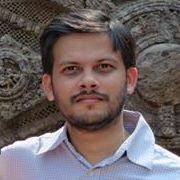 Himanshu contributes immensely to the technical training ecosystem as the only instructor for CompTIA Certified Technical Training helping fellow trainers from VMware, Dell, Red Hat and trainers from Microsoft, Adobe and Oracle community to achieve this global recognition in technical training delivery. Times of India a leading media company recognized him as one of the Top 10 Edupreneurs (Educational Entrepreneurs) in 2013. Casey brings years of executive level consulting focused on helping organizations build high-performing teams that deliver innovative products for their customers to CloudThat. Example successes include a role as CTO of an Internet marketing organization, building a team that maintained one of the most viewed sites on the Internet, hosting over 40,000 individual blog sites on a proprietary blogging system built from scratch. Casey holds a Bachelor of Science in Information Systems from the University of South Florida’s College of Engineering, an MBA from the University of Tampa, and is currently working towards his Master of Science in Computer Science at the Georgia Institute of Technology. Sangram has 10+ years of experience in the IT Infrastructure domain specializing in Cloud Computing & Virtualization with additional skills in Server and storage Hardware, Server Operating Systems like Red Hat Linux, SUSE & Ubuntu, Windows Server 2008/2012, and backup/disaster recovery. In the past he has worked with companies like Hewlett-Packard, Microland, Mphasis & Bristlecone. Sangram has been working in the cloud domain for more than 4 years and has various certifications to his credit such as Mirantis Certified OpenStack Administrator, AWS Certified Solution Architect, Microsoft Certified Solutions Developer (Azure), VCP to name a few. 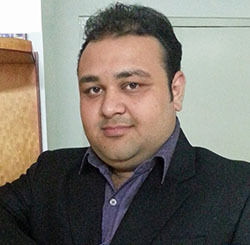 He is currently the co-founder & cloud architect of a startup along with collaborating for CloudThat Technologies. He is also an author and occasionally speaks at colleges/education institutions about the benefits of cloud computing. Arzan has 7+ years of experience in Microsoft Infrastructure technology stack including setting up Windows servers, designing Active Directory and managing various domain services, including Hyper-V virtualization. As a Cloud Solution Architect at CloudThat, he is responsible for deploying, supporting and managing client infrastructures on Azure. Having core training and consulting experience, he is also involved in delivering training to corporate and individuals on Azure. He holds a MCSE (Server Track). Other certification include VCA-DCV (Datacenter Virtualization – Associate) and CTT+ (Certified Technology Trainer).